Having as main business objective to grow its male brands and reposition them to make them more appealing to a broader male audience, Astrid decided to proceed with a full redesign of Adam, an Astrid brand that was weak in terms of image values and clear positioning. 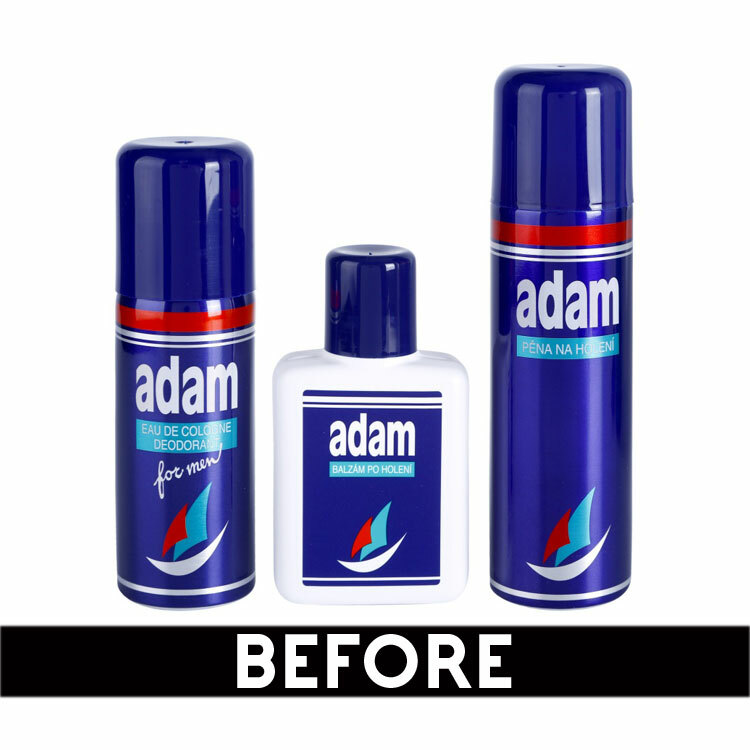 MILK Branding Professionals developed the new brand identity and packaging for Adam taking under consideration that the brand seriously lacked of a clear footprint or link to a specific product besides after-shave balsam. A male brand addressing to a younger target audience but with an indifferent and outdated in terms of design image, far from the visual and structural codes of the category. Our task was to communicate through the new design Astrid’s signature- that Adam is an Astrid brand- and enhance a sense of familiarity, product quality perception and overall appreciation (exchange values with the mother brand). Last but not lease, through our new design a clear differentiation among the line’s variants that was missing, is now achieved. Sharp, fresher design that not only looks good but also solves practical for the brand issues and offers solutions making it more user-friendly. A brand that buyers have no difficulty to identify its product types and easily make their preferable choice. The new brand identity focuses on the brand’s accessible and reliable character, projecting a youthful, extrovert and easy-going personality. It conveys performance, sportiness and smartly fits within the male care driven categories. 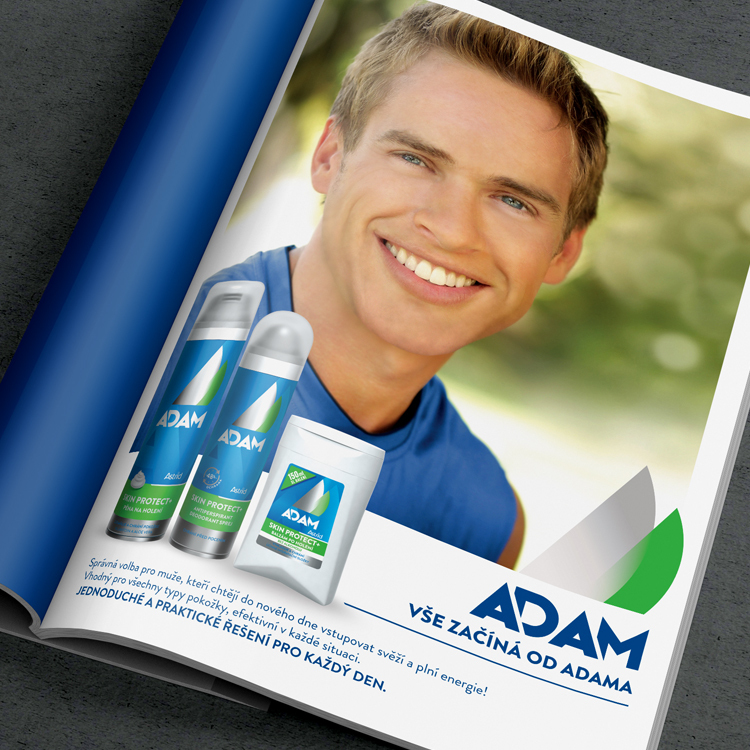 After our redesign, Adam profitably competes strong multinational male care brands.